A while back, I built a Lisp machine that runs on FPGA. One feature that was lacking was support for lexical closures. I used some extra time over the recent break to add support for them. This paper challenged some assumptions I had about how processors had to operate. Rather than using a traditional program counter, it represented code as expressions in linked lists. 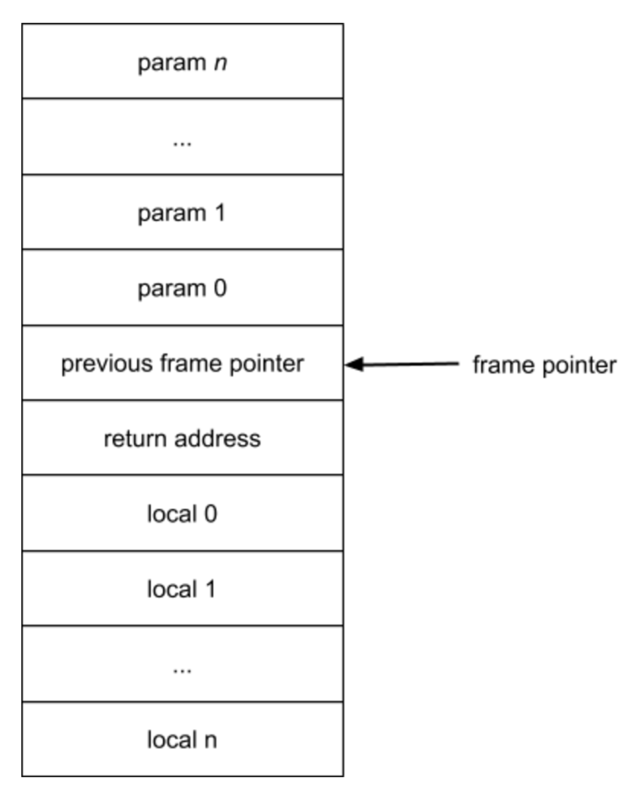 It also used a linked list to store the local environment, rather than a contiguous stack. In modern processors, there is a large gap between the high level language and the low level code that the compiler generates, but in this design, machine code is close to the source language. I use lexical rather than dynamic scoping and store the environment on a stack rather than as a list of variables. Closures only exist in lexically scoped languages. I use random logic for the state machine rather than microcode. I implement memory allocation and garbage collection in Lisp in the runtime library rather than in microcode. The processor described in the paper needs to perform memory allocation and garbage collection in hardware since it needs to allocate memory to call a function. Another inspiration was the J1 Forth CPU. It’s beautifully simple: the core is only 131 lines of Verilog. The hardware supports a small number of primitive Forth words. The rest of the interpreter is built–in Forth–on top of that. Forth and Lisp are similar in their extreme adherence to a pure, minimal programming model. The execution environments are also largely built in the language itself, using metaprogramming features on top of a small set of native primitives. This makes is easy to run them on simple hardware implementations. I won’t describe the whole implementation here, but detailed documentation is available in the project wiki. I’ll review a few relevant aspects. Unlike most Lisp interpreters, my processor doesn’t support a REPL (read/evaluate/print loop). A compiler (compile.py) builds the program on a host machine and preloads into instruction memory on the device. Data memory is 19 bits wide. Each location in data memory stores a 16 bit value, 2 bit tag that identifies the data type, and a 1 bit value used during garbage collection. For a cons cell, the tag is in the thing that points to the cons cell, not in the cell itself (each element in the cell has its own tag that determines the type of that element). 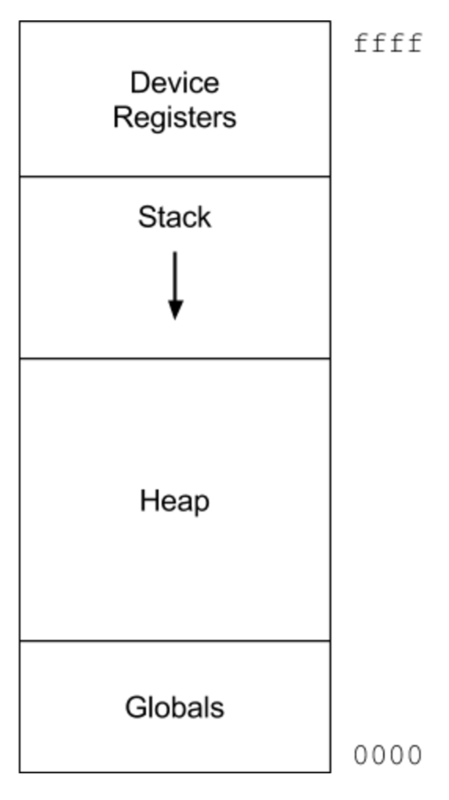 The stack starts at the top of addressable memory and grows downward. Global variables are at the beginning of memory. The heap starts immediately after the globals. The sole unit of allocation in this system is a cons cell, which has two elements. Using fixed sized elements simplifies the allocator, since it doesn’t need to worry about compaction and fragmentation. It uses a simple mark/sweep garbage collector. The getlocal instruction copies a value from the environment and pushes it on the stack. Each time the program calls a function, it builds a stack frame data structure onto the stack and updates the frame pointer register to this new frame. The getlocal instruction operand is an offset relative to the frame pointer: negative offsets point to local variable slots and positives to parameters. The function make_add returns another function that takes a single parameter. But the inner function references x. After made_add returns, the stack space that held x is no longer valid. I need a some way to bundle the value x with the function and pass the whole thing around like any other value. I can do that by creating a closure. Create a new symbol in the scope of the inner function to represent the free variable. Add a reference in this symbol object that points to the symbol in the enclosing function. Add the symbol to a list of free variables associated with the inner function. When the compiler finishes compiling the inner function, it checks it to see if it has free variables. If so, it emits code in the enclosing function to copy the values from the local environment into a linked list. The closure is a cons cell where the first element contains a pointer to the function code in instruction memory and the second points to the list of all free variables it just created. As mentioned above, all memory locations have a tag to mark their type. The tag for this node marks it as a closure. When calling a function through a pointer, the code must first determine if this is a bare function or closure (the bare function is an optimization and doesn’t need to unpack the closure structure). Read the second element in the closure cell. Store it in a special global variable $closure. Read the first element in the closure cell and push on the stack. This is the address to jump to. The compiler inserts code into the prologue of the inner function to unpack the closure variables from the list. For each cons cell in the list, read the value from the first element and perform a SETLOCAL instruction to save it in the appropriate local variable. That’s because my implementation copies the values into the local environment and discards them when it returns. I’m capturing by value, not reference. Since each closure has captured its own copy. This creates a cons cell to contain the value. The reference to this cell is passed by value. It needs to access it indirectly using (setfirst sharedref …) to write it and (first sharedref) to read it. A challenge with supporting capture-by-reference behavior automatically in my compiler is that it generates code in a single pass. At the point it recognizes that a variable is a closure variable, it may have already generated code in the enclosing function that accesses it like a normal stack variable. One approach I considered was adding an intermediate pass to identify free variables. I sort of support multiple passes already: the parser converts the source code into a set of python lists, which it eventually recursively walks to generate code. But before that, I run an optimization pass on this structure to perform constant folding, on it. The nice thing about Lisp is that the source code is already pretty close to intermediate code, so it’s easy to perform transformations on. I could add another pass that replaces the string names with symbol objects, which have additional information to indicate free variables. The Lua interpreter has a clever solution to this problem that doesn’t require a separate compiler pass, which I’ll talk about in the future.